We offer HIPAA compliant fax services as a no cost option on our standard $9.95 a month internet fax program. Typical users include medical offices, laboratories, and medical billing services. Receive your faxes through our HIPAA Compliant web portal. 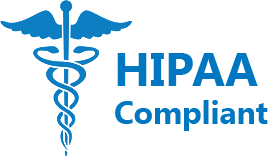 Following current HIPAA guidelines, we send your faxes through a secure portal. Fax notifications are sent by e-mail and then you directly access them through a link to an encrypted web page. You can transfer your existing fax number to our fully compliant service. Click here for fax number porting information. We are a secure and reliable low cost e-mail fax provider with personalized service and are happy to answer any questions and help you set up a fully compliant HIPAA e-mail based fax. One of the strongest features of our website security is that we delete all faxes from our servers after sending them out to you. They are more than secure, they are deleted.